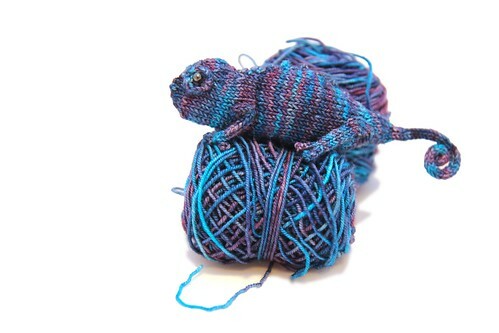 Yes, I knit a chameleon. He's a tiny little guy - smaller than my hand. So ridiculous yet joyful. And ridiculous. Something else joyful (but not really ridiculous at all) is my first sock project for the new year. I am participating in the 12 Socks group again this year and my first pair is one I'm doing as a knit-along with a Ravelry friend. 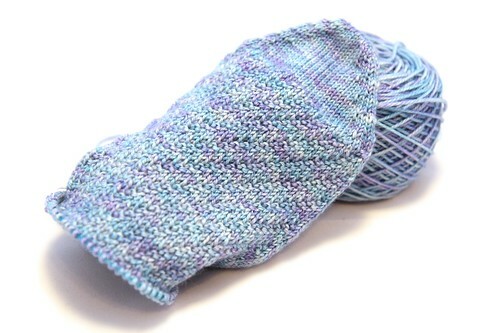 I'm using a new-to-me yarn (Dream in Color's Smooshy) and it's so lovely to knit with. Soft as an Emmett and such lovely colors. I'm particularly liking how the colors are working up in the pattern. I really think I'm going to enjoy these. So knitting 2015, off we go! *John is named after WWE wrestler John Cena, whose catchphrase is "you can't see me". I find it hilarious. Don't judge me. Love this pattern, I had a toe cast on for January socks and it was the perfect time to see your blog post so I had to look up the pattern. Thanks for sharing! Yay! What great timing! I have to say, I LOVE how it is working up. It adds such a great depth to the already beautiful yarn. So happy with it!